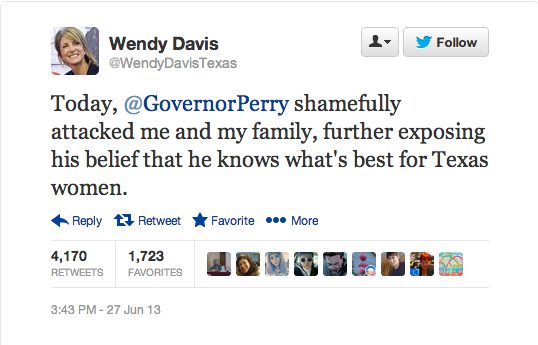 Texas Democratic Senator Wendy Davis tweeted on Saturday that Governor Rick Perry had verbally attacked her. Rather than watch and listen to Rick Perry’s actual comments, 4K people — likely strident feminists, pro-abortion activists and Planned Parenthood proponents — retweeted the tweet as though Ms. Davis were truly slandered. 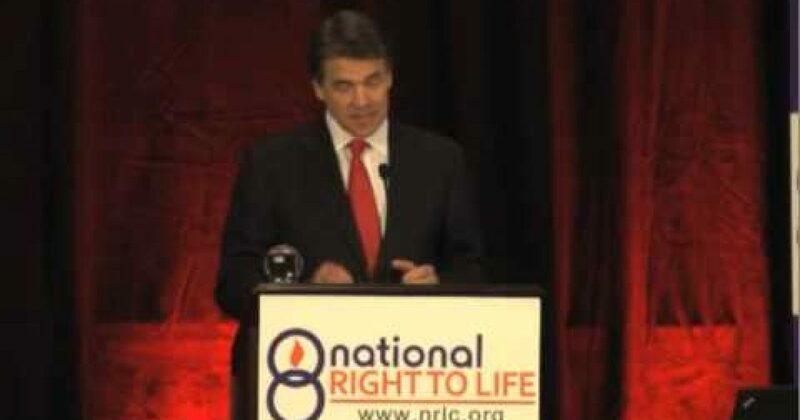 Rick Perry did use Wendy Davis as an example of a life born into a difficult situation who achieved greatly. And this is what she calls an attack?